High-quality sleep seems to be becoming somewhat of a pervasive and wishful thought in our modernized society. The National Sleep Foundation estimates that nearly 30% of Americans experience some form of sleep disruption during the night. I would imagine that this number is much higher and that most people simply are not attuned to themselves on a deep enough level to notice they may not be getting truly rejuvenating sleep. In this article, you will discover 7 lifestyle strategies for better sleep. The more we learn about sleep, the more we know about the factors influencing it and just what optimal sleep really is. Optimal sleep should occur naturally and without struggle on a consistent basis. Also, once we fall into sleep there is a predictable pattern of physiological processes that occur that we now know dictate how well our bodies are able to heal and, more importantly, ADAPT to the stressors of life. By designing an environment that signals the body for optimal sleep, it’s possible to naturally boost your sleep quality and physical vitality. This article is all about giving you action steps to get better sleep tonight! Perhaps you have heard about the hormone in the brain that is released at night to help you sleep (and that many of us have likely supplemented with at some point) called melatonin. If you’ve done a little more reading on how melatonin works then you have seen that darkness is what stimulates its release in the brain at nighttime. What many of us don’t understand though is that melatonin works in a very predictable rhythm within us. It spikes at night before bedtime and naturally tapers off until it bottoms out by the time we wake up in the morning. Something that many of us overlook is that exposure to sunlight early in the morning can actually help properly align the natural rhythm of melatonin and help us sleep at night (1). Studies have shown that consistent exposure to sunlight during the day, and especially upon waking up, can increase the production of serotonin which is an important factor in melatonin production at night. Early-morning sunlight exposure also helps your body understand when to naturally produce a spike in cortisol which works in rhythm with melatonin to regulate your sleep-wake cycle. In other words, cortisol wakes you up in the morning and melatonin helps you fall asleep at night. So, the takeaway action-step here is to get outside early in the morning and expose yourself to sunlight throughout the day. For maximum benefit, leave the sunglasses at home as this will disrupt sunlight from reaching important photoreceptors in your eyes. This is congruent with our biological 24-hour clocks and will set you up for a natural release of melatonin at night. This brings us to the next strategy. In my opinion, avoiding artificial lighting (especially blue-colored light) is just as important for optimal sleep as getting regular doses of sunlight during the day. Artificial lighting isn’t really 100% avoidable in our society today but there are certain precautions and strategies I would suggest to limit the negative impact of being exposed. Artificial light can be so detrimental to health for a couple of main reasons. First, artificial light that does not contain full-spectrum illumination does not stimulate the body in the same way that sunlight does. Sunlight exposure is an important bio regulatory stimulus (meaning it helps the body regulate its own processes) that most artificial lighting just doesn’t provide. The other huge reason why artificial lighting can be bad for the human body is when it is blue-spectrum lighting. Many of us know this by now but cell phones, TVs, and computers give off intense blue light that has been shown to inhibit melatonin production in the brain by up to 80% (2)!! Electronic use before bed has also been shown to slightly increase cortisol and body temperature which is the opposite of the body’s natural sleep response. To reduce your exposure to blue light, download the free f.lux software on your computer or device and wear blue light blocking glasses such as these Swanwick’s at night when you are looking at your electronics or around any sort of artificial lighting. For a good reading light you can use this low cost full-spectrum lamp or this bedside light bulb as you prepare for sleep. You may have made the connection already that having a dark bedroom is important for better sleep, but what measures really need to be taken? When it comes to making your room as dark as possible, most people set out to buy some blackout curtains and leave it at that. While this is one of the most important things to do, there may be some value in taking some extra precautions. It is likely that any time your mind is perceiving the presence of light, it is inhibiting the production of melatonin to some extent. A study of 116 participants found that being in a lit room before bedtime delayed melatonin production in almost every one of the participants involved (3). Although not much is understood about the mechanism, there have actually been some cases of people without vision having circadian responses to light exposure (4). Some doctors have suggested that because photoreceptors in our skin are able to detect the presence of light, that they can also play a role in regulating the circadian rhythm. Blocking out as much light as possible from your room, sleeping under a blanket, and using a good eye mask (like this one) should eliminate just about all possible light exposure. While it may seem obvious to avoid caffeine to get better sleep, I find that some people don’t fully understand how it could be affecting them. Caffeine is one of the most heavily used drugs in American society and, for many of us, we just know it gives us a boost when we need it. Caffeine works by blocking something in our brain called adenosine. Adenosine is a neurotransmitter in the brain that plays a role in helping the body realize when it is tired and needs rest. By using caffeine, we are temporarily boosting our mental and physical energetic capabilities before getting tired. While there can be some benefits to strategic caffeine use, here are some tips I have to prevent it from wrecking your sleep at night. Performance Enhancement: Make the distinction between using caffeine as a performance booster or as a crutch to overcome chronic fatigue. If you find that you struggle to go about your day without a boost of caffeine, this is most likely a sign that you should back off and give your body the rest it needs. Use Early in the Day: Only consume caffeine early in the day. The half-life of caffeine is 5-8 hours which means it takes that long for half of the caffeine consumed to stop effecting your system. This means that the effects of caffeine can last 10-16 hours before fully wearing off. Limit yourself to consuming caffeine only before noon, ideally earlier! Small Quantities and Cycling: Consume in small doses and don’t make it a habit. The more frequently you use caffeine, the more likely your body will rely on it for energy. Try only consuming for occasional performance boosting or try cycling off from caffeine 1 out of every 4 weeks. Some people find that they are particularly sensitive to caffeine and they may be better off avoiding it completely. Some less stimulating sources to try are green tea and yerba mate. Sugar consumption is rampantly high in our society and the detrimental effects span far beyond the general public’s comprehension. For example, the consumption of sugary foods and sources of fast-digesting carbohydrates spike blood sugar levels and can actually lead to disruptions in normal hormone production. One hormone of particular importance in this case is cortisol. Ideally, we want cortisol to be high in the morning and low at night. During massive blood sugar fluctuations, we tend to see cortisol dysregulation as well. One of the jobs of cortisol is to increase blood sugar for immediate energy during times of stress. In those who have poor blood sugar regulation, a nighttime drop in blood sugar will result in an increase of cortisol. This results in unwanted stimulation before bed. 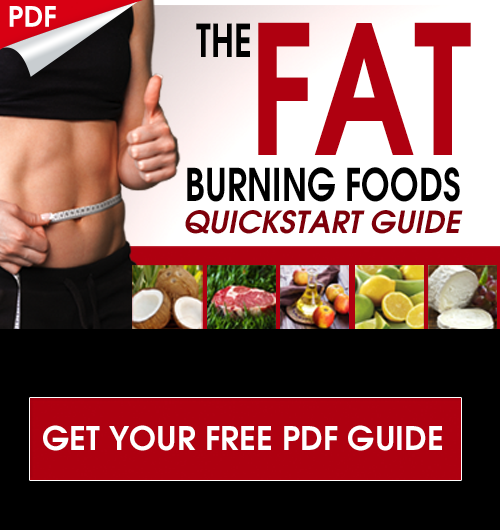 For more advanced strategies to get better control of your hormones and blood sugar, take a look at this article here. 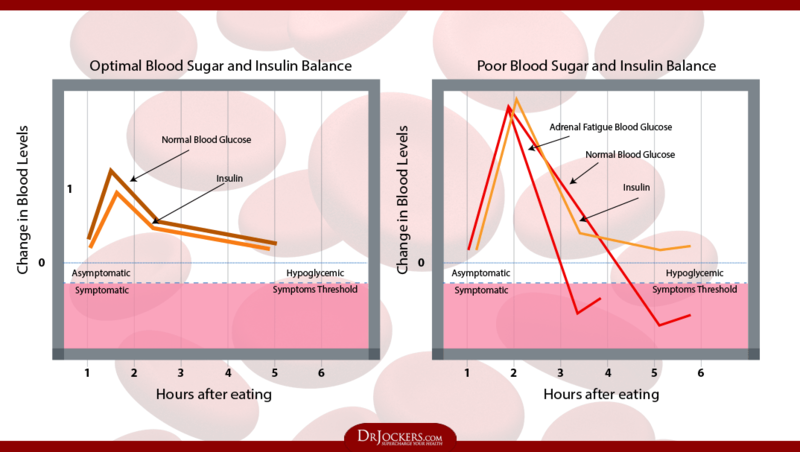 I often find that blood sugar dysregulation is at the core of many of my patient’s sleep problems. To get better sleep you will need to balance your blood sugar levels. Note: If you often find yourself anxious or that you get a strong second wind of energy at night before bed, your blood sugar may be related. There are things that you do daily without thinking about because they are ingrained in your subconscious mind. For example, think about how much of a conscious effort it took to drive a car the first few times you did it. After a while your brain makes solid connections between being in a car and the actions that take place while in the car. The result is that over time driving a car becomes much more of a subconscious effort. Now apply this idea to your sleep. The routine you have at night and the behaviors your brain associates with your bedroom can have a powerful subconscious affect over how well you sleep at night. With this concept in mind, I have two recommendations for programming your subconscious mind for better sleep. First, reserve time in your bedroom for nothing but relaxation and intimate time with your partner (which may improve sleep on its own!). If you work from home or are a student, refrain from bringing business matters into the bedroom. The more often you perform stressful activities in your bedroom, the less likely you are to make the subconscious connection that you are in a space of comfort and relaxation. Second, make a solid nighttime routine that you follow consistently before getting in bed. It doesn’t have to be overly complex or anything. This could simply be a nightly hygiene routine, spending time with family, a light stretching routine, gratitude journaling, meditation, prayer or some leisurely reading. The key here is consistency and making sure that it is performed after work has been put aside for the day. Journal or pray about anything that is troubling you and acknowledge the fact that by putting it aside for the night will result in better sleep and a better chance at finding a resolution the following day. Practice gratitude or self-awareness meditation that pulls your body out of the fight-or-flight response and into relaxation. Keep electronics away from the bed. The use of electronic devices has consistently linked with poor sleep and daytime sleepiness (5). It is common that this type of sleep interruption also contributes to blood sugar imbalance, elevated cortisol levels, and poor emotional control. Don’t stress over not being able to sleep right away. Instead of worrying about not being able to sleep, try reading, meditating, or even drawing until you feel ready to fall asleep and try again. When it comes down to it, humans adapt through efficiency. If you think about it, learning to do something subconsciously frees up your mind for more advanced thinking. This is why it is important to make sure we are ingraining healthy behavior patterns into our lives so that we can then subconsciously build greater health. When it comes to better sleep, sending your body the right signals makes all the difference. By strategically exposing yourself to the right kinds of light, practicing relaxation techniques, and using the diet to balance internal systems, your body subconsciously reprograms itself for better sleep. Really great info out there you put for us who are seriously interested to take charge of their health and appreciate your work. Just read the high sugar complete article including the hyperlinked tabs as well and learnt a lot. 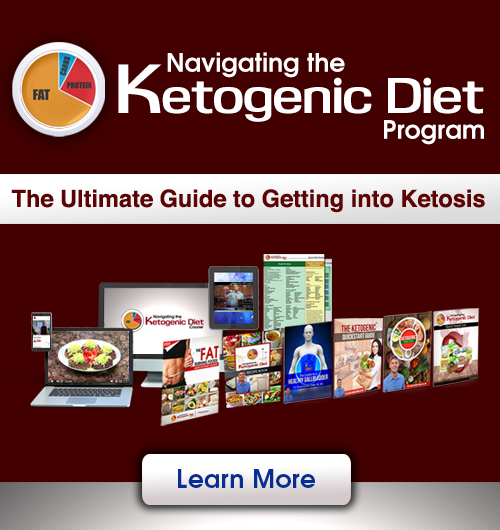 I would appreciate if you could mention morning high blood sugars who are not in keto diet and how to control that. Yes the same principles apply Mohd! Be Blessed!